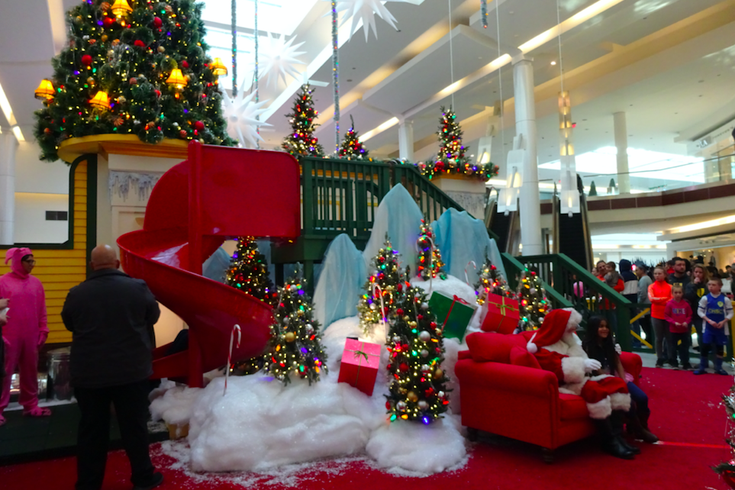 "A Christmas Story" has inspired a unique holiday experience at the Cherry Hill Mall that will feature an interactive walkthrough experience where guests can play out their favorite parts of this treasured holiday classic. This holiday season, the Warner Bros. classic "A Christmas Story" has inspired an unique interactive experience at the Cherry Hill Mall. Visitors can explore the Parker family kitchen, take a family photo in front of the iconic Leg Lamp in the Parker's living room and slide down Santa Mountain. "Guaranteed to be fun for kids and nostalgic for grownups," according to a press release. The walkthrough production was created by New Jersey-based Parker 3D. "A Christmas Story" Experience will be open through Sunday, Dec. 24, during mall hours. It's free and open to the general public.